A named range is one or more cells that have been given a name. 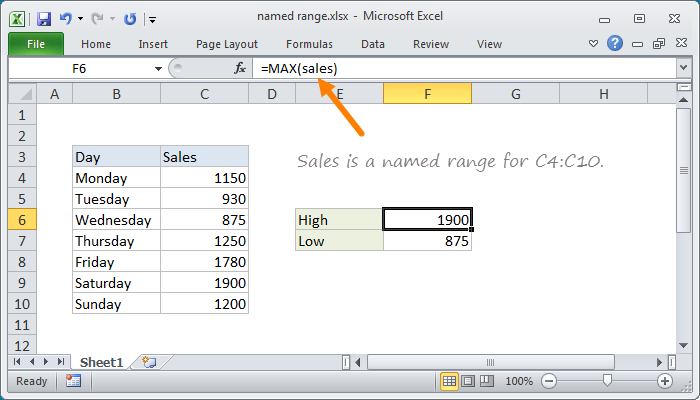 Using named ranges can make formulas easier to read and understand. They also provide simple navigation via the Name Box. Note: named ranges are absolute references by default.